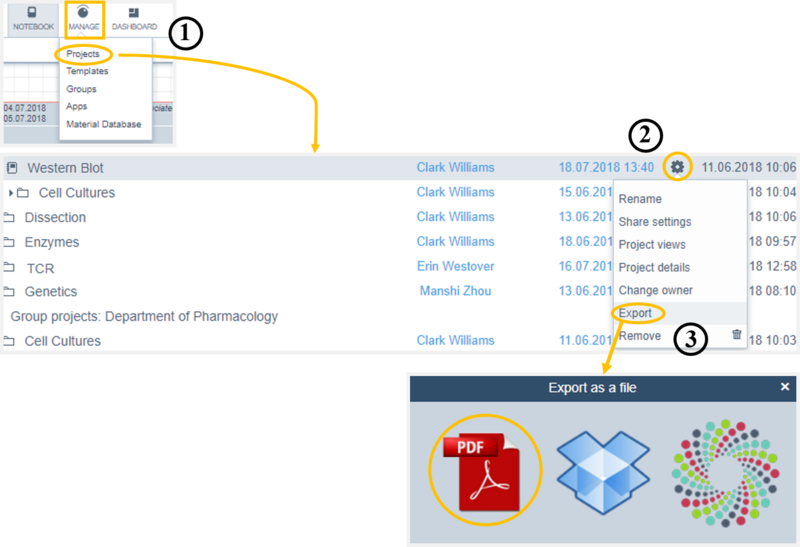 How to export/download a project as PDF? Hover over the to-be-exported project and click on the gearwheel that appears to the right. In the next lightbox, select contents that you would like to include in the PDF file, and then give the file a name. Click Start Export to export it. When the process is done, you will receive a notification. 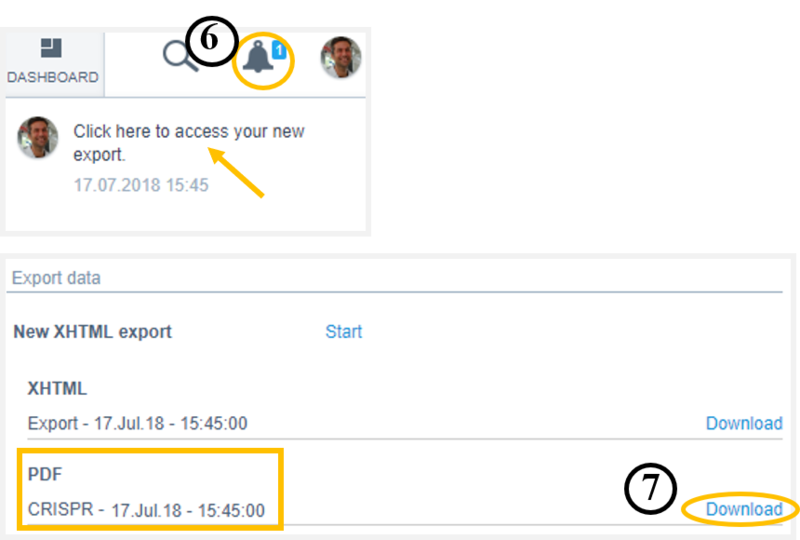 Click on the bell next to your account picture and select notification for new export in the dropdown list. It will redirect you to the Settings>Export data page. 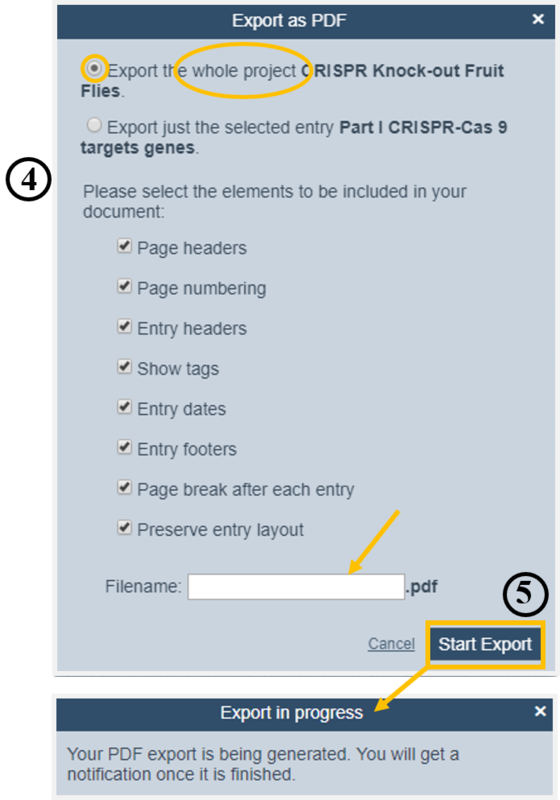 Click Download to the right of PDF in the section Export data, and then you can access the PDF in the folder or disk where you save your download files.